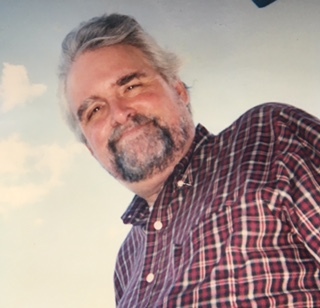 Raymond Kent Long of South Portland passed away peacefully on April 5, 2019 with his family around him. Born in NYC in 1946, the son of Raymond and Luz (Más) Long, he moved to Maine after graduating from the High School of Performing Arts. Warm and animated, Raymond had a grateful spirit, finding contentment each day. He delighted in nature, and climbing mountains. Exploring a new trail thrilled him, and he loved a beautiful view. Most of all he valued spending time with loved ones. Nothing made him happier than watching a game and talking with beloved grandson Alden Dobosz, of whom he was so proud; spending time with cherished daughter Rani Long; or a drive with dearest friend Patricia Peters. “Papa” is deeply loved and missed. Also important in his life were cousins Desander Más, Christine Soper, and extended family; Steve Fox, and valued lifetime of friends. He voiced appreciation of the beauty of God’s creations, and was always sympathetic to the little creatures. Contributions can be made in Raymond’s memory to the Animal Refuge League, PO Box 336, Westbrook ME 04098. A family memorial celebrating his life will be held later this spring.